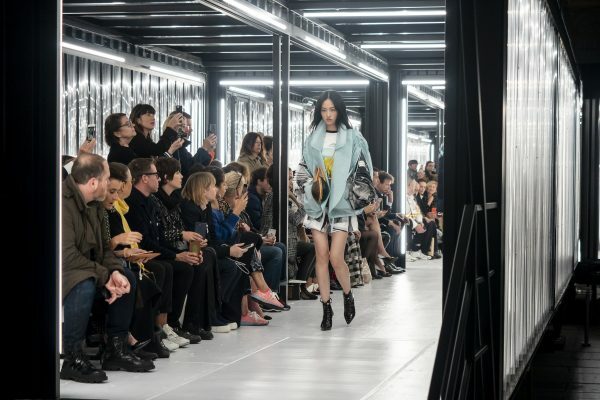 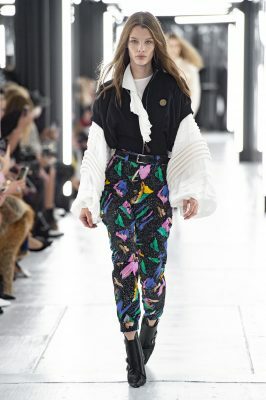 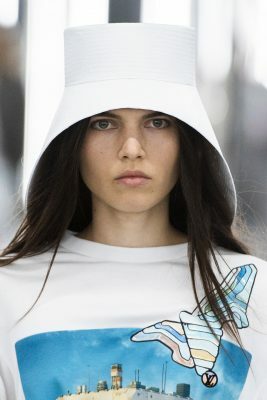 For the Louis Vuitton SS19 runway, Nicolas Ghesquière went back to the future with an out of this world collection that focused on exaggerated silhouettes, sharp suiting and intergalactic prints. 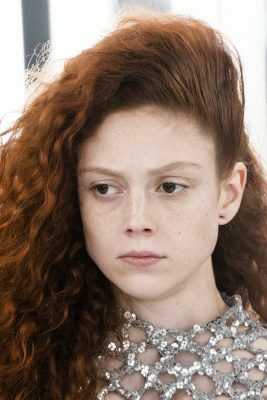 Here’s everything you need to know. 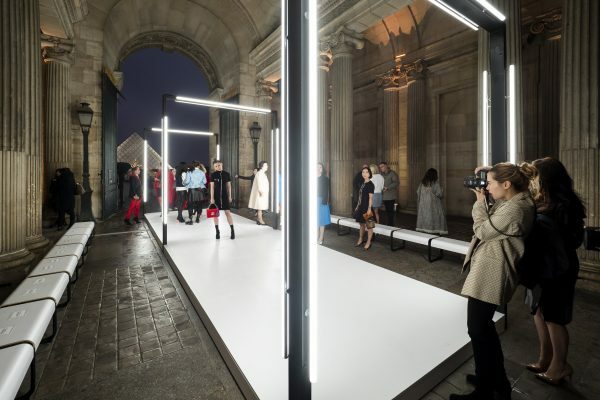 The show took place at the Louvre’s Cour Carrée courtyard. 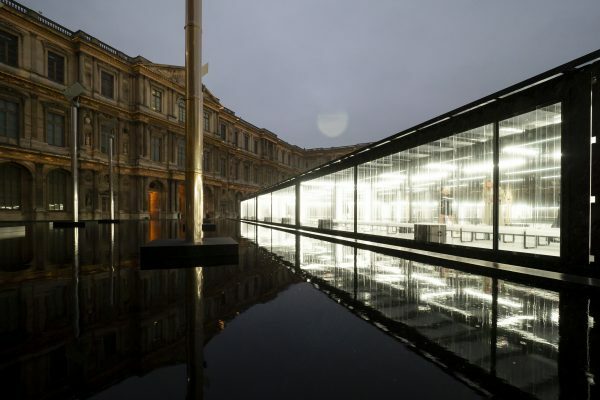 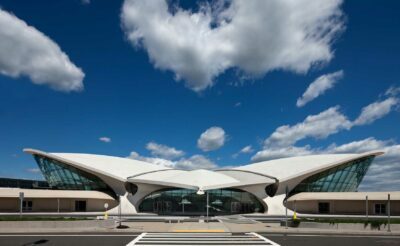 Guests sat on white metal benches inside a sleek, glass tunnel, which turned at sharp angles. 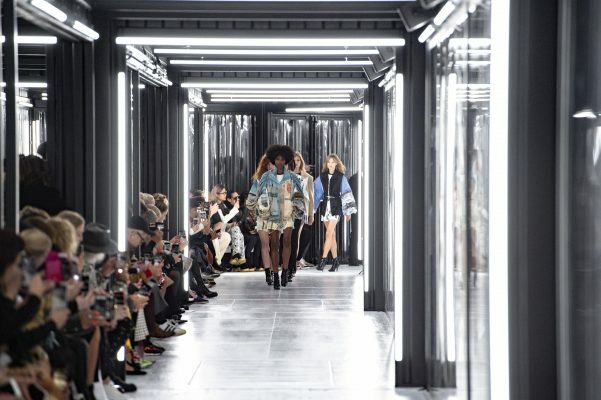 As the models began to walk, neon tube lightening and a thumping soundtrack kicked in section by section. 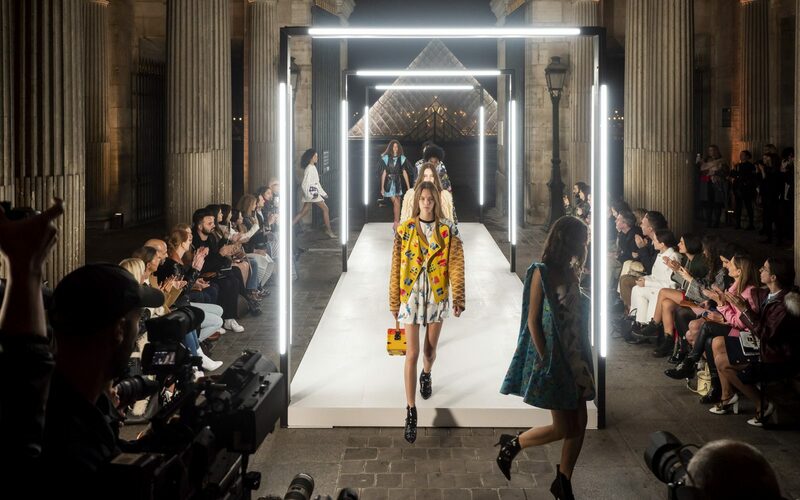 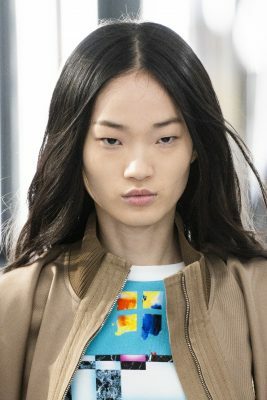 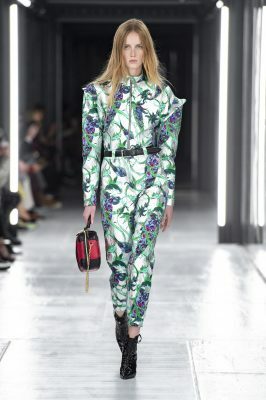 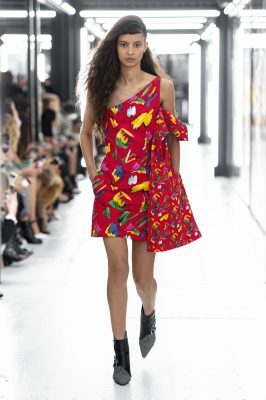 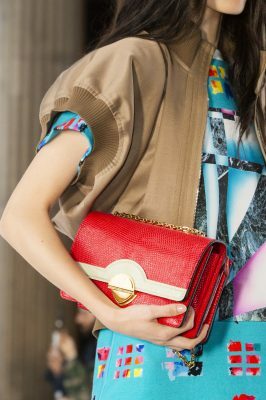 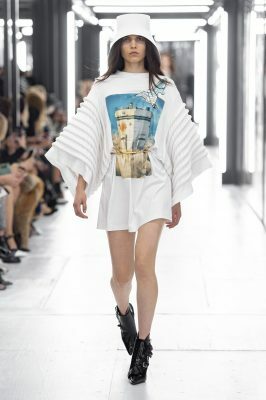 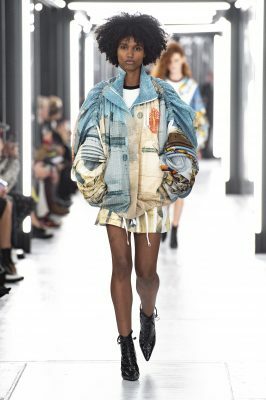 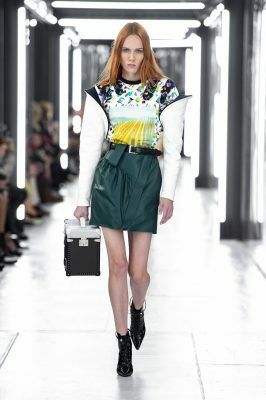 With a play on graphics and volumes, Ghesquière delved deep into his long-lived sci-fi obsession. 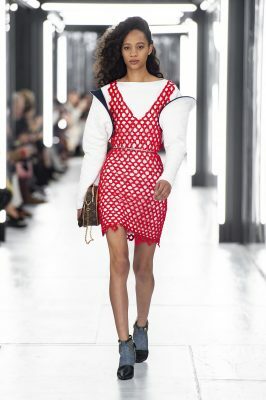 Dresses were short with built-out shoulders or ballooning sleeves, in silver honeycomb lace, or with embroidered mirror embellishments. 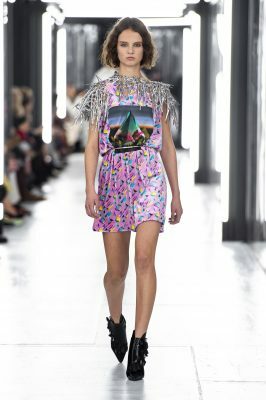 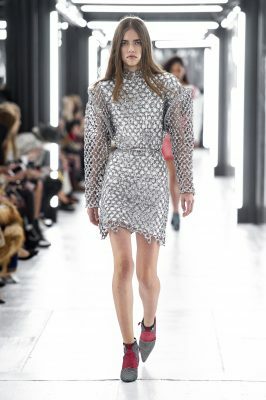 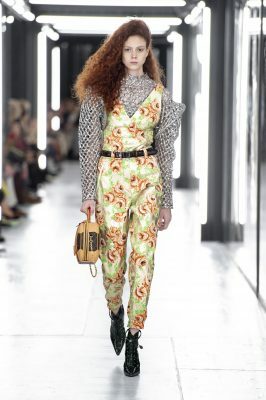 There was an asteroid print that depicted a branded LV space shuttle launch pad, space age metallics, and ruffles worthy of a space-age musketeer. 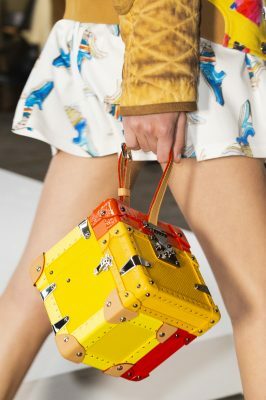 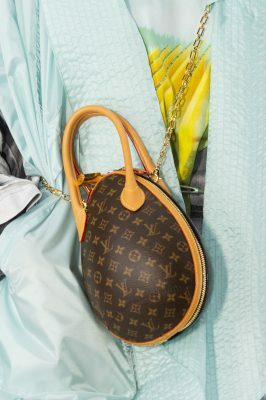 Louis Vuitton is known for its handbags and the SS19 collection did not disappoint. 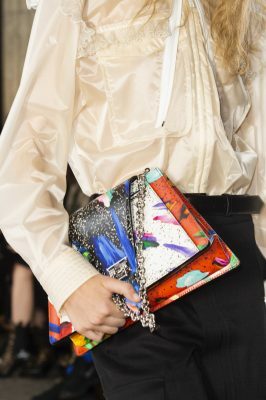 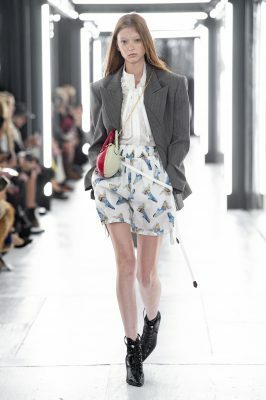 Along with different versions of Ghesquière’s trademark model the Mini Malle, there were new and daring shapes including bags that looked flying saucers and even mini eggs. 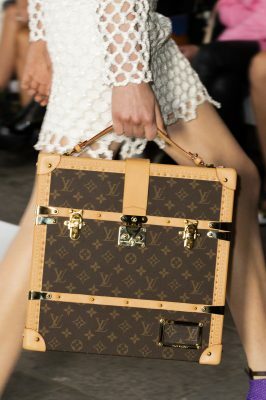 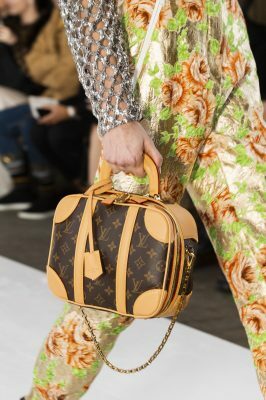 Also notable were mini briefcases, doctor bags and portfolio bags, all with metal-protected corners and in the LV monogram. 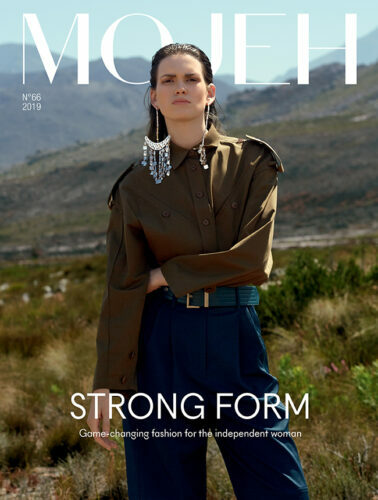 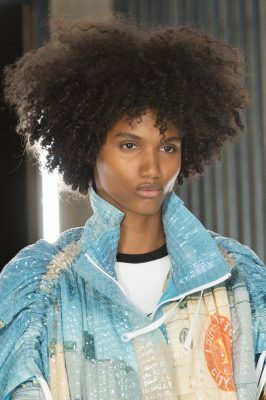 Showcasing a very natural makeup look, the models worked a series of textured hair side flips, long flowing strands, micro-bangs and even a gorgeous buoyant Afro for the show opener. 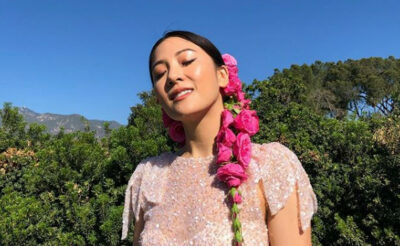 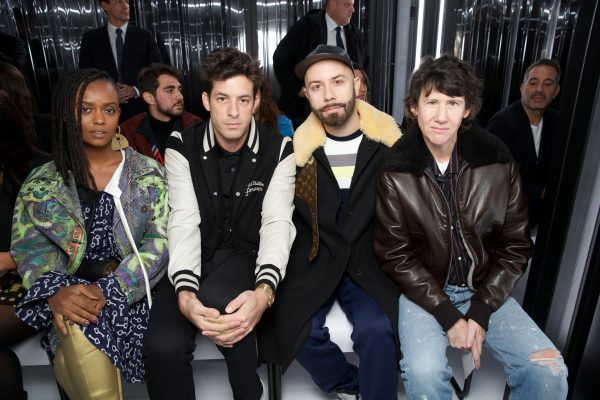 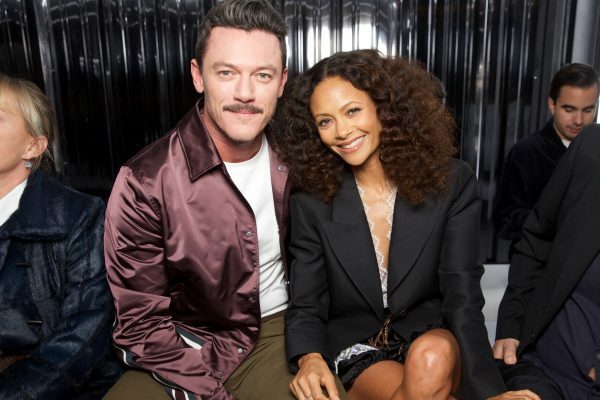 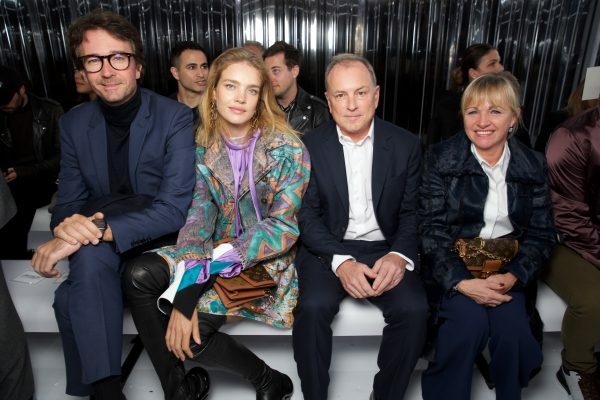 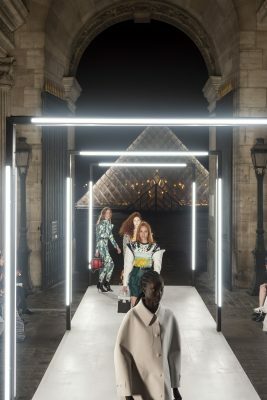 With the most star-studded guest list of Paris Fashion Week, the Louis Vuitton front row included Cate Blanchett, Alicia Vikander, Sophie Turner, Joe Jonas, Thandie Newton, Shailene Woodley, Spike Lee, Justin Theroux, Natalia Vodianova, Nina Dobrev, Shay Mitchell, Luke Evans and Mark Ronson, among others. 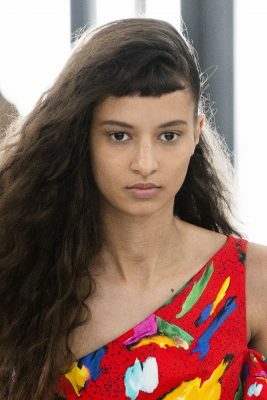 The 10 best looks from Valentino’s playful but perfectly poised SS19 runway.